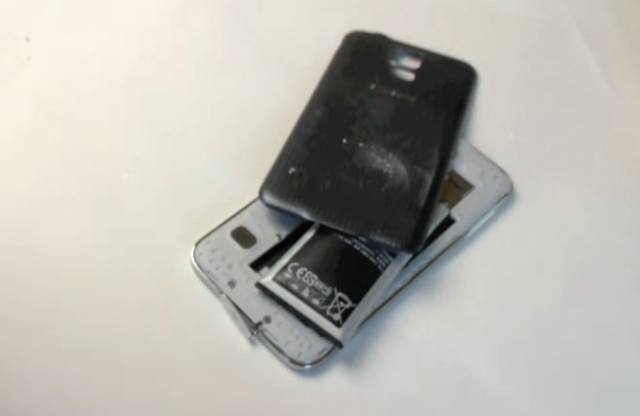 Okay, these smartphone “stress test” videos on YouTube have got to stop. Why? Aside from breaking my heart every time I watch a $700 smartphone getting destroyed on camera, they can also be downright dangerous. Don’t believe us? Then check out this recent video by TechRax who, upon slamming his Samsung Galaxy S5 with a mallet, ends up puncturing the battery, spraying out noxious fumes into the air and causing the reviewer actual physical harm. Grab the Febreeze, boys and girls. Video below. #Dead.